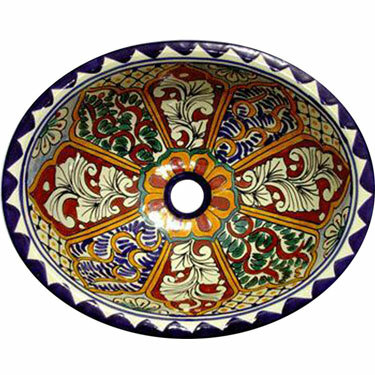 This San Blas Mexican Talavera Handmade Sink has one of the most traditional designs. This Mexican Talavera Handmade Sink will look gorgeous in your bathroom. A Mexican Talavera Sink is a great work of art full of color and tradition that you must have, this beautiful Mexican Talavera Sink reflects the great handcrafted work of our expert Mexican artisans.